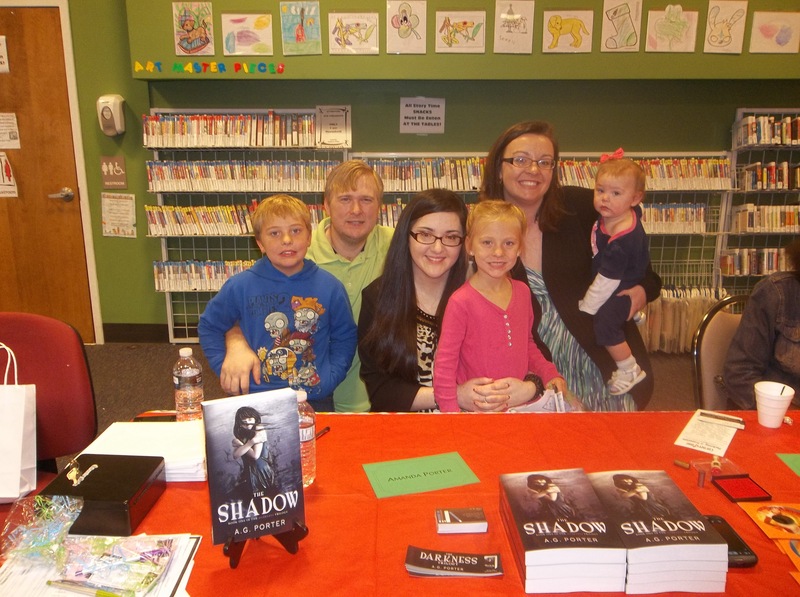 I had decided to go to the Local Author Event in Gadsden, Alabama on Saturday May 19th. I didn’t know how it was going to turn out since it was raining, and it looked horrid outside.The sun was not shinning and the clouds were dark and grey. I was thinking that now one was going to want to get out of bed and drive in that weather. I figured that I would sell only a couple books, but by eleven o’clock I had sold more than I thought I was going to sell the whole day. I had so many people interested in my book. Explaining the book to them, making them want to read the book and buy it made me so happy. During the day I had seen some of my old friends that I have not seen in years. 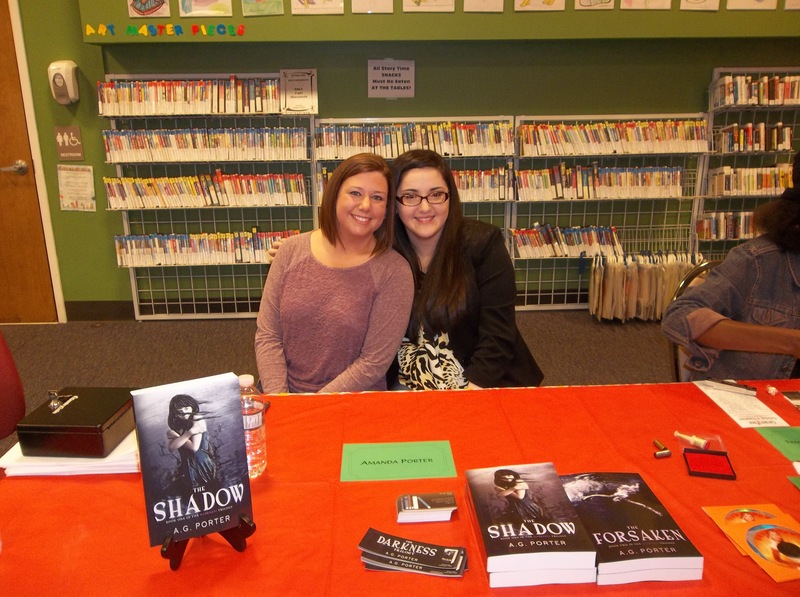 There was a wonderful author and an amazing women who I had shared a table with name Taomi Ray. I was so lucky to have met her. She was definitely someone I could connect and Share my experiences with as well as she sharing hers. Later that day I had gotten to do an interview on a radio station. That was a really good experience. Talking about my book on air was really fun and I hope to do it again. While I had stepped away for the interview my wonderful assistant Katja had sat in my place. I was told she did an excellent job and I definitely believe it. By the end of the day, the sun was shining and I had a great outcome. 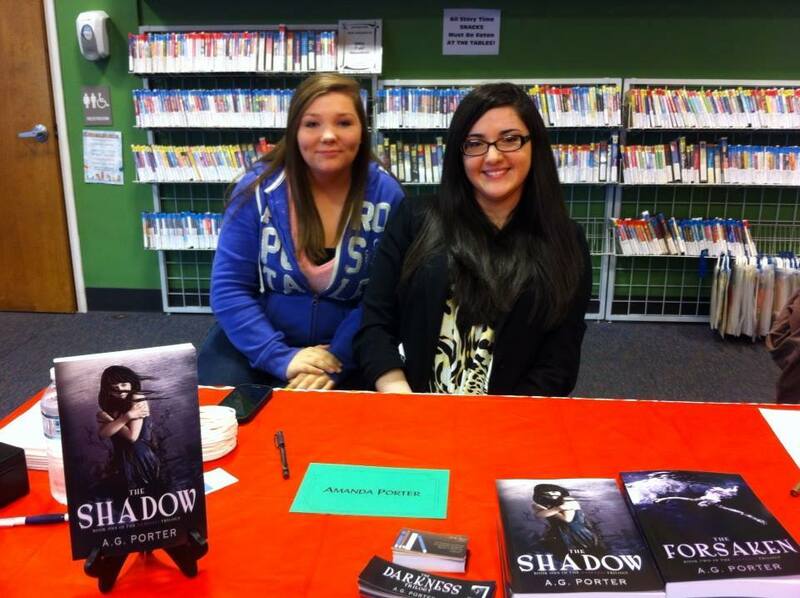 I met so many awesome people, and authors. Everyone was so friendly and it was such a great experience. I can’t wait till next year when I get to do it again, and if you are a local author you should come out and participate. 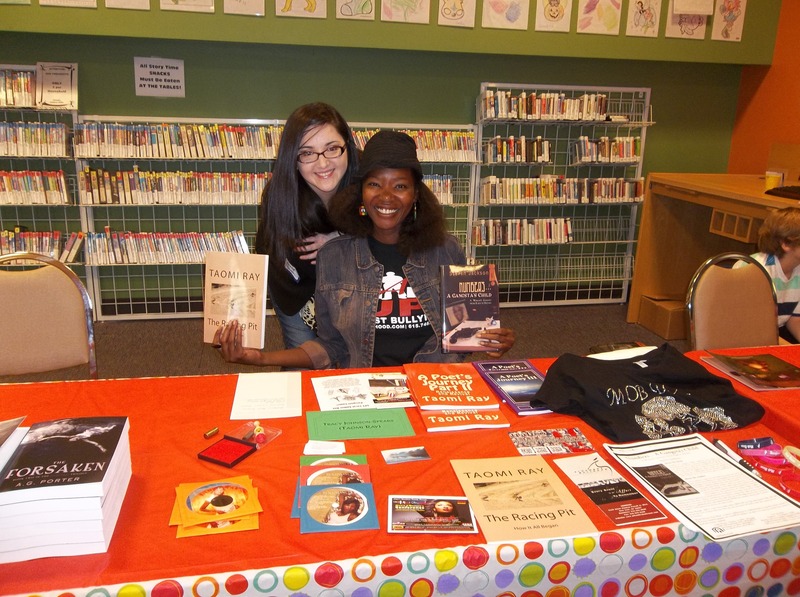 It is a wonderful opportunity not just to get your book out there and sell it, but to meet new people and friends. I am so glad I went to the Gadsden Public Library. 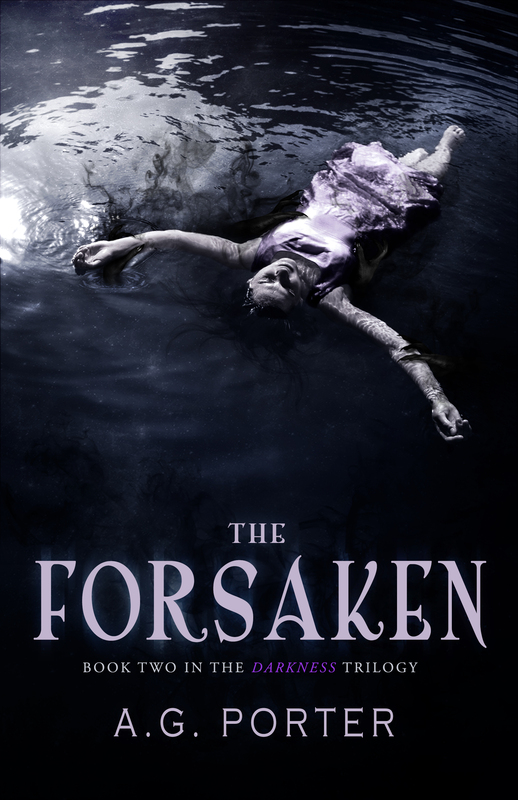 So, this is going to be the last teaser chapter for The Forsaken! That’s because it will be ready for purchase tomorrow!!! Yay! I wasn’t sure what she had done to me. Sure, she broke my heart, but that wasn’t it. It was that kiss. I enjoyed it, way more than I should have. I knew that she was only using me. I deserved it. I had used plenty of girls in the past. But this girl had done a number on my heart and it wasn’t easy to get over. Not only couldn’t I get her out my head, it was like I couldn’t get her out of my…senses. I felt her everywhere I went. She was in my blood. I could feel her swimming around my brain. When I was asleep, talking, eating, or whatever else I was doing, I felt her deep in my soul. At first I thought maybe this was what love felt like, you know? I had heard about people not being able to eat or sleep because they were so consumed by the thought of someone else. That was what it felt like at first, but then things started to change. The first night that I knew something really crazy weird was going on was when I had this wild dream about her. I could see her at The Landing. She looked as beautiful as ever in the moonlight. I watched as she took a step onto a dock and then turned to look at me. She waved me on so I followed. For a minute, I thought this dream was real, it felt that way. It felt completely normal to just follow her on to that dock, but when I did she was gone. I looked everywhere for her. There was some feeling; some sinking feeling that she had fallen off. It’s silly to think of this now, but I wondered in that moment if she could swim. Without really thinking about what I was doing I jumped into the lake. I called out for her and then dove under the water, searching for her. It was dark, too dark for me to see anything so I felt around for her. After a few attempts I felt her. She was under the water. I grabbed her around the waist and pulled her to the surface. After what seemed like forever I got her on the dock. Her dark hair was covering her face so I hurriedly shoved it to the side and then started giving her mouth-to-mouth. Then she did. Rayna began to cough up water so I rolled her onto her side. The water didn’t stop. I watched as water and more water came pouring out of her mouth. She was retching, unable to breathe. I watched in sheer terror as the water rushed forth, choking her. Then, there wasn’t water coming out anymore; it was an inky blackness. Some dark shiny liquid crashed out of her mouth, running down the front her shirt. Slowly that same liquid began seeping from her nose and the corner of her eyes. She was drowning in it. I didn’t know what else to do, but shake her. Maybe I thought I could shake that filth out of her, but it was no use. Without warning, something grabbed me from behind and threw me along the dock. I nearly fell into the lake, but managed to stay on the wooden pier. My head suddenly felt heavy and my legs where shaky. Before I could stand up an intense pressure pinned me down. I was being choked, but it wasn’t by the same substance that was encircling Rayna. It was a smell; a sickly sweet smell, like really sweet chocolate. It was someone. Someone was holding me down on the pier, but I couldn’t make out who it was. The only thing I could see was smoke, thick black smoke. It would enclose me in the darkness, seeping into my pores and burning me up from the inside. My entire body would feel like it was on fire, but at the same time I would feel so cold. Just when I thought that the pain would kill me I would wake up. For months I was plagued by this dream. I would wake up screaming and thrashing my arms out in front me; ready to fight whoever I needed to. My parents were really starting to worry about me. My mom even sent me to a shrink. The doc gave me a prescription for anxiety, claiming I was just under a lot of stress because I was about to graduate high school. He was wrong though. It wasn’t high school. It was something else. I don’t know why, but deep down I felt like these dreams meant something. Deep down, even though I was even trying to deny it, I felt like the person in my dream holding me down was someone made of flesh and bone. What was worse, I knew that Rayna truly was in danger and I had to help her. 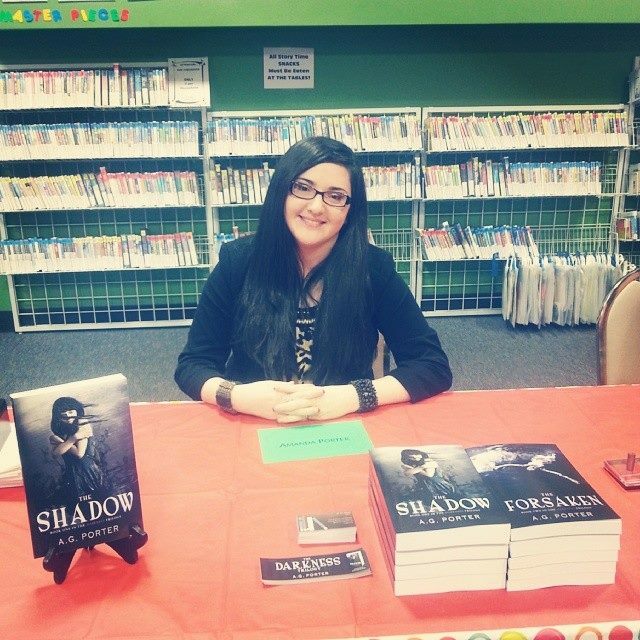 Check out this awesome review of The Shadow by Kera via L, S, K Sweetheart Reviews! The Shadow by A.G. Porter.